E-commerce software offers tremendous advantages to today’s online retailers, who are seeking to gain an edge in a highly competitive market. Read on to learn about the key benefits of eCommerce software. The online retail industry is, by far, one of the most competitive sectors today. But it has the potential to be extremely profitable for those Web shops that can develop and execute successful promotional and operational strategies. In order to thrive, these businesses must be able to clearly differentiate themselves from the hundreds of thousands of other sites out there. E-commerce software helps Internet stores accomplish this – and more – by helping them make their Web presence as attractive, intuitive, and compelling as possible. Some of the primary benefits that can be achieved through the deployment and use of an E-commerce software package include. Many E-commerce software packages include capabilities that support even the most sophisticated search engine optimization strategies. This dramatically enhances marketing and promotional efforts by generating greater awareness among potential buyers and making it easier for more people to find a given Web site. Additionally, many E-commerce software solutions offer a complete portfolio of professionally-styled design templates. This helps improve branding initiatives by providing online retailers with a way to project a better image without the need to hire third-party graphic designers. An E-commerce software solution can boost revenues in several ways. First, it can help drive more traffic to an online store, which in turn can result in a higher volume of sales. It can also offer customers a more intuitive interface for browsing, so they can more easily find what they are looking for. Also, some E-commerce software packages will dynamically recommend complimentary products and services to buyers based on what they’ve already purchased or viewed. This can improve income generated by up-sell and cross-sell programs. 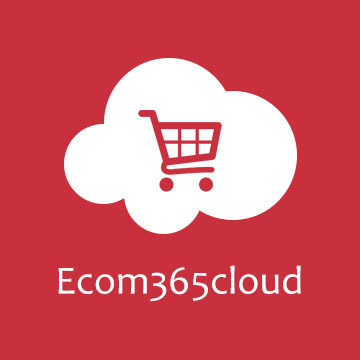 An E-commerce software solution delivers a more convenient and pleasant online shopping experience to buyers. Browsing for specific products and services is simple, and checkout is fast and easy. Additionally, order fulfillment and shipping status can be instantly tracked at any time. As a result, customers will be much more likely to recommend that particular Web shop to other buyers and will also be more likely to return to make additional purchases in the future. E-commerce software dramatically increases productivity by eliminating the need to hand-code the Web site and all needed functions. It also fully automates such processes as the creation, categorization, and organization of new product listings, as well as the calculation of item sub-totals and totals (when multiple products are purchased), taxes, and shipping expenses. Moreover, E-commerce software solutions streamline and simplify site administration, making it easier for companies to enhance and update their Internet shops as needed. With an E-commerce software package in place, online retailers can analyze browsing and purchasing patterns in great detail to fully understand what drives their business. By gaining insight into the critical trends and factors that influence buyer behaviors they can develop plans to further boost sales and profitability. As we all know that physical retail is run by branding and relationships. But, online retail is also driving by traffic that comes from search engines. For customers, it is not very so common to follow a link in the search engine results and land up on an E-commerce website that they never heard of. No matter whether you are looking to choose including warranty information with product descriptions and datasheets or providing it from within an E-commerce shopping cart, you need to make sure that customers must be aware of important terms and conditions that are associated with their purchase.